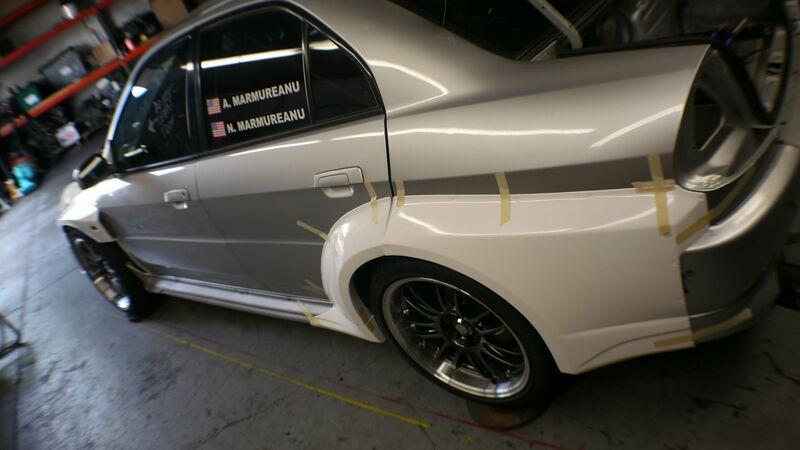 Dr. Alex’s EVO 6 SEMA Varis Widebody Project – Getting Started! Here are some pics of the work that we are getting started on here. Varis carbon wide body kit, Stoptech Trophy Brakes need some bigger wheels so that means we’ll need a wider body and chassis clearance. The interior will get new seats and a full detailing. 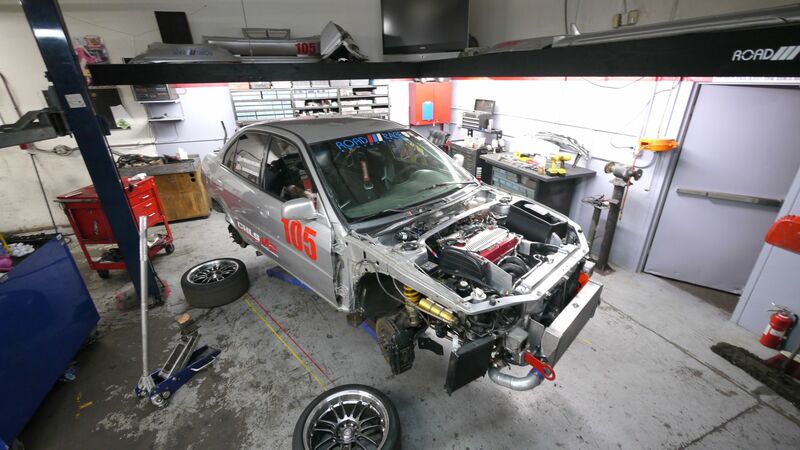 The car already hit the dyno for a retune after the motor was all broken in. 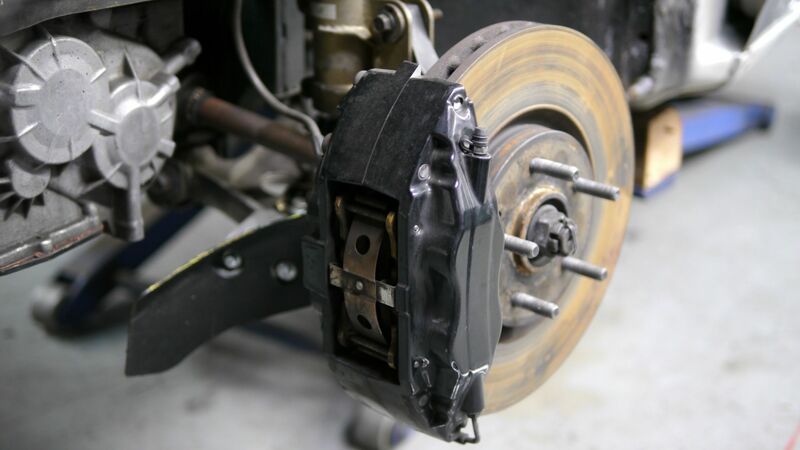 little stock brakes and the Rally Ohlins will be replaced later with Stoptech Trophy big brake kit and Muellerized Ohlins Road and Track coil overs. This entry was posted on July 10, 2013. 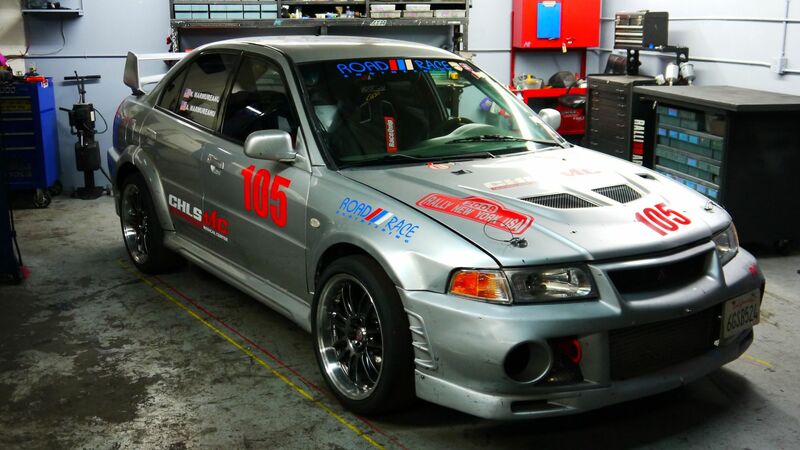 It was filed under Blog and was tagged with Customer Cars, EVO 6, RRE Race Team, Show-n-Shine.